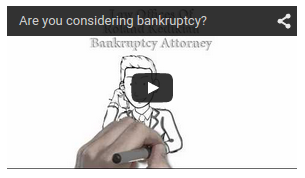 Affordable Chapter 7 Bankruptcy Attorney Fees and Costs Quoted Upfront. 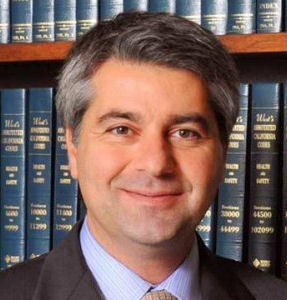 We will quote you our bankruptcy attorney fees upfront over the phone or in person. The fees vary depending under which chapter we will have to file your case. We will advise you of all the associated fees. You will know exactly how much it will cost to file your bankruptcy. Chapter 13 attorney fees vary from $2000.00 to $4,500.00. The fee is based on the complexity of your case, whether you are an employee or self employed, and whether a second mortgage on your house needs to be wiped out also known as cram down. However, the court will allow the attorney fees to be paid from the monthly payments that the debtor makes to the trustee. We only charge a portion of the bankruptcy attorney fees upfront. The balance of the fees are paid from your chapter 13 plan. The total upfront fees includes a portion of the bankruptcy attorney fees, the filing fee and $100 for the required online courses and credit report. Chapter 13 filing fee is $310. During the initial consultation, you will be quoted a flat fee that will included the bankruptcy attorney fees, the chapter 13 filing fee, and the $100 fee for the two required courses and copies of your credit report. The cost to file bankruptcy is a phone call away. We will quote you a flat fee for everything from the beginning to the end. There are no hidden charges. We will deal with any issues that may come up without any additional fees. Our office has been filing bankruptcy in Los Angeles since 1997. We know exactly what the chapter 7 trustee ad chapter 13 trustee is looking for. To Learn More About How We Can Help Contact us for Free Consultation.